London is often referred to as the start-up capital of Europe, with a staggering number of new businesses registered yearly. Known for its vibrancy, a high concentration of capital, large international talent pool, as well as government support measures and accelerators and tech events – London has one of the fastest-growing, and most prosperous, start-up ecosystems in the world. Despite this, the city also has the lowest rate of survival for start-ups in the UK, mainly due to London’s highly competitive climate and the volatile nature of establishing a start-up business. In 2018, small business growth saw a deficit for the first time since 2000 (-0.5%) with 27,000 fewer businesses than in 2017. In essence, while London is certainly the place to be if you want to build a successful start-up, you should consider whether the current economic and political environment in the UK is conducive to your business model. Tax Agility, the London accountants for start-ups have worked with budding new businesses in the city for years and here, they offer a few insights into what makes a successful start-up and how you can apply them in 2019. Why start a business in Central London? Aside from London’s long-running history as a hub for large corporations and firms, the city has recently seen a shift in its business demographic – becoming a hub for more and more start-ups and small businesses. Drawn by good transport links, a deep talent pool and strong infrastructure, the climate in Central London is perfect for start-ups, and with a history of success, it’s only natural these businesses are increasingly making London their home. Though it holds a reputation as one of the world’s foremost financial and business capitals, the balance of power between large corporations and smaller start-ups is beginning to even out. Offering a bounty of professional bodies, communications, publishing, advertising and media agencies upon which start-ups can rely for their services, London has established itself as a veritable breeding ground for small ventures looking to establish themselves in what is one of the world’s most competitive financial cities. Government support initiatives – Specific grants are awarded to some businesses for the purposes of generating employment and boosting the economy. If you are researching and developing a process, product or service or testing an innovation, you may be eligible for funding. You can visit Government sites such as Innovate UK and London Co-investment Fund to research the types of funding you may be eligible for and the requirements you must meet. Seed Enterprise Investment Scheme (SEIS) – Designed to help small businesses raise equity finance in the early stages by offering tax reliefs to individual investors who invest in them. You can receive a maximum of £150,000 through this scheme. A qualified, specialist start-up accountant can assist you with applying for SEIS. Crowd-Investing Platforms – Like traditional crowdfunding platforms, there are also crowdfunding platforms for equity that a new company can approach to raise funds such as Crowdcube or Seedrs. Angel and venture capital investors – An angel investor is an individual who provides capital for a business start-up, usually in exchange for convertible debt or ownership equity. Venture capital investors provide a form of financing or funds to small, early-stage, emerging firms that have demonstrated high growth or are deemed to have high growth potential. They usually request upwards of a 20% stake. To be successful in London, you will have to recruit the best talent. London has many leading universities and is home to over 350,000 students from the UK and overseas. It also has the largest percentage of working age population with degrees and National Vocation Qualifications (NVQ) equivalents, with 60.7% of the population possessing NVQ Level 4 qualifications or above. This abundance of talent does come at a price, however. Driven by the high demand of these skilled workers, average weekly salaries in Central London average approximately £690.81. You can circumvent this problem by approaching local universities and colleges who can provide apprentices, trainees and interns for employment. You also have the option of hiring from outside the UK as the government offers visas for skilled workers to attract and retain the very best global talent. Central London offers a wide range of properties for potential start-ups. Even with the timeless popularity of the area and a growing property boom, Central London still offers a wealth of available office spaces, from flexible co-working locations to serviced office spaces, multi-storey buildings and prestigious headquarters. As is customary, finding the right premises for your start-up will depend on your budget, the stage-of-development your company is at, and future expansion plans. London offers simple and inexpensive incorporation services which can be accessed online, around the clock. There are a handful of online services that can perform this service. However, it is always advisable to consult a professional, specialist accountant to ensure that you are meeting all of the necessary requirements. London houses many accountancy firms, such as Tax Agility, who cater specifically to start-ups and small business enterprises and can assist with incorporating your business or provide financial and accounting services for your new company. Central London has some of the largest and most well-regarded accelerators and incubators in the UK for businesses across a range of industries. These are support services which assist promising start-ups in the early stages of development by offering everything from office space to advice, mentoring, and even seed funding. The city also has some of the best business resources, with Westminster’s library databases particularly useful for business and market research information. The British Library’s Business and IP Centre in St Pancras is also a valuable support for entrepreneurs, inventors and small business owners seeking networking, planning, copyright and IP guidance, as well as free industry guides. New entrepreneurs will have no shortage of events and workshops. Every borough council runs events of some sort to support businesses, bringing together the most forward-thinking and innovative companies in the industry. An innovative business idea will not guarantee success on its own. If no one knows about your idea or product, then your business has failed to employ an effective marketing strategy and in turn, has failed to effectively reach your goal of disseminating and selling said idea or product. To do this, you need a cohesive campaign that reaches your target market and illuminates the benefits of your product. 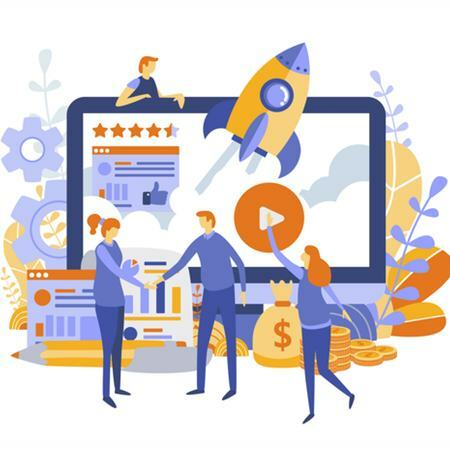 Essentially, you want to invest in quality marketing in order to maximise your return with an efficient, targeted marketing campaign that gets quantifiable results. To do this, you need to define your end goal, maintain a consistent brand and message, determine your target audience and find a social channel for your start-up. It’s always advisable to consult a professional, industry-affiliated marketing provider to do this for you in circumstances where you’re not well equipped enough to do it yourself. Advice on setting-up financial, management and record-keeping systems in compliance with statutory requirements. Simply call us on 020 8108 0090 or fill out our Online Form for more information regarding your start-up business. This post is intended to provide information of general interest about current business/ accounting issues. It should not replace professional advice tailored to your specific circumstances.